NRO vs NRE Account: What’s The Difference and Which is Better? HomeNRI BankingNRO vs NRE Account: What’s The Difference and Which is Better? In the last post, I provided information about opening a NRE or NRO account in India while you are abroad. However, the procedure of opening a NRE or NRO account is same, many NRIs always get confused about which is the better among the two. Basically, it depends upon your specific needs and requirements. Understanding the basic features and benefits of both these accounts, a NRI could choose either one of them for his or her savings account in India. 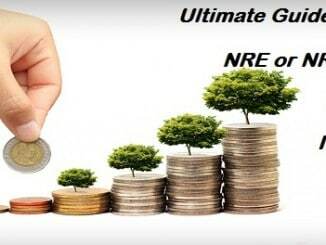 The main reason NRIs opt for a NRE or NRO account is to maintain a Rupee account in India. Maintaining a rupee account in India helps the NRIs to repatriate overseas earned money back to India as well as to keep India based earnings within India. To get these benefits, there are two options available for a NRI: 1) Non-Resident Rupee (NRE) account and 2) Non-Resident Ordinary Rupee (NRO) account. Repatriation: You can repatriate unlimited funds (both Principal and Interest earned) from NRE account whereas there is a restriction after USD 1 Million net including applicable taxes in a financial year with NRO account. Tax Treatment: Funds in NRE account are 100% tax free (i.e. no income tax, wealth tax or gift tax) in India whereas the interest earned in NRO account and credit balances are taxable if they fall into the respective income tax bracket. Wealth and gift tax must also be paid if applicable for the interest earned in NRO account and its credit balances. 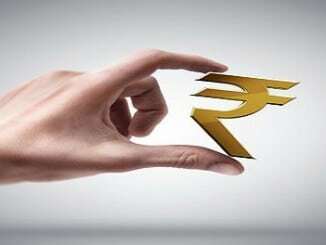 Deposit of Rupee funds generated in India: Any individual whether an NRI (Non-Resident Indian), PIO (Person of Indian Origin) or OCI (Overseas Citizen of India) is allowed to deposit funds in the respective NRO account if the funds are generated from an income originating in India. However, deposit of such earnings is not allowed in NRE account. Joint Holding: A joint NRE account between two NRIs is allowed but not with a resident Indian whereas a NRO account can be held jointly with a NRI as well as a resident Indian (close relative) as suggested under Section 6 of the Companies Act 1956. Both Savings and Current Accounts can be opened under NRE and NRO account. Both NRE and NRO account are Indian Rupee accounts and are helpful for NRIs to maintain Indian Rupee account in India. The account holder must maintain an average monthly balance of Rs. 75000 in both NRE and NRO accounts. So which account should you prefer? How to Open a NRE or NRO Account in India for NRIs?